Click Here to Find Out MoreNorwegian Cruise Line is delighted to announce the two next additions to their ever-growing fleet of luxury ships. The Norwegian Joy, the 2nd ship in the Breakaway Plus Class, is set to make her debut in China Summer of 2017. Boasting staff fluent in Mandarin, the Joy is styled specifically for the comfort of Chinese travelers. Next in line in the Breakaway Plus Class is the Norwegian Bliss. Set to launch in the Summer of 2018, adorned with art from marine conservation artist Wyland, the Bliss will be the youngest cruise ship to sail the Last Frontier of Alaska. But the first step to any great vacation is deciding where to cruise. With Norwegian Cruise Lines, the possibilities are vast. Enjoy sunbathing on the warm beaches of the Caribbean. Check out the incredible historical structures of the Mediterranean. Take in the untouched Last Frontier of Alaska. Even sail through the infamous Panama Canal. All with the comfort of a luxurious stateroom for relaxing. Tucked away atop many of Norwegian Cruise Line's ships is an exclusive retreat with the most spacious, lavish, and well-appointed accommodations; The Haven. This sumptuous refuge can currently be found on several of Norwegians ships; including the Norwegian Escape, the Norwegian Getaway, the Norwegian Breakaway, and many more. 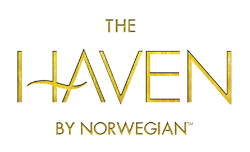 While you are a guest in The Haven, you will have access to a private Haven Lounge, Haven Restaurant, and even a Haven Courtyard and Deck. Included with your stay is our very own 24-hour butler and personal concierge, as well as a free unlimited open bar, free specialty dining, free shore excursion credits, free wifi, and free friends & family. 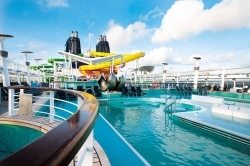 If The Haven just isn't your style, Norwegian Cruise Lines has many other accommodation options. Starting with Studios, designed specifically for solo travelers, all the way to Penthouses and Grand Suites, with luxurious bathrooms, spacious living rooms, and expansive balconies. No matter the stateroom, first class treatment is the standard for every guest. In 2000, Norwegian Cruise Lines made a huge change in the way people cruise by adding their acclaimed "Freestyle Dining". With restaurants from bow to stern, no set dining times, and no assigned seating, guests can follow their taste buds - not a schedule. Enjoy a savory four-course meal from a main dining room or grab as much as you like from the buffet. Don't forget to try one of the many amazing specialty dining options; like Los Lobos, an authentic Mexican cantina aboard the Norwegian Dawn, or Moderno Churasscaria, a Brazilian-style steakhouse found aboard multiple Norwegians fleet of ships. Feeling bored? 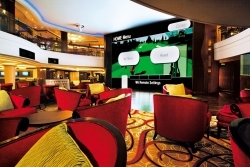 Norwegian Cruise Lines invites you to canvas one of the many entertainment options. 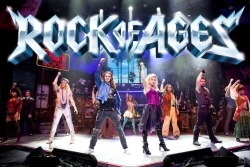 Rock out to the 1980's hair metal performance of Rock of Ages. Enjoy a wine and lunch pairing with the world's first wine tasting musical, Wine Lovers the Musical. Even dine in "the grandest circus spectacle east of Vegas" (New York Magazine), Cirque Dreams & Dinner – Jungle Fantasy. With so many options, you are sure to find something that tickles your fancy. If being stationary is not in your forte, feel the rush of multi-story water slides, enjoy a round of bowling, or get your blood pumping in the 2-3 story sports complex. In addition to all the grand adult amenities, Norwegian Cruise Lines takes great strides to accommodate the entire family, most importantly the children. With features like age appropriate day care, water parks, teen clubs, and child friendly dining options, there is sure to be something for the entire family. Static resorts are a thing of the past. Take your resort with you as you travel some of the most beautiful and exhilarating ports in the world.